Granderson had a good showing going 2-3 out of the lead off spot & Neil Walker drove in 3 runs off of Johnson when he hit a double in the 8th. Top prospect SS Amed Rosario went 1-3 while Tim Tebow made his Spring Training debut with the Major League club going 0-3 while being involved in 2 double plays. However, he did receive a standing ovation before he stepped into the box for his 1st AB of the afternoon(Video). 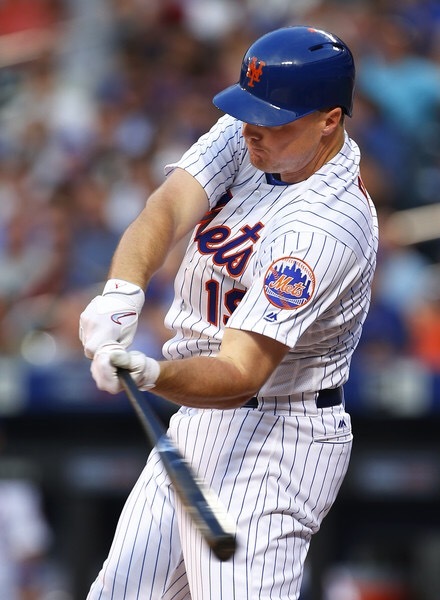 Syndergaard looked to be working on his mechanics while still looking sharp while working with what appeared to be a small strike zone & Adam Wilk was impressive as he picked up the W in midst of trying to keep his name in the conversation when it comes to LHP’s.